So I’ve randomly started making a series of character portraits for the Dark Heresy RP group in the local Galway Gaming Tribes. 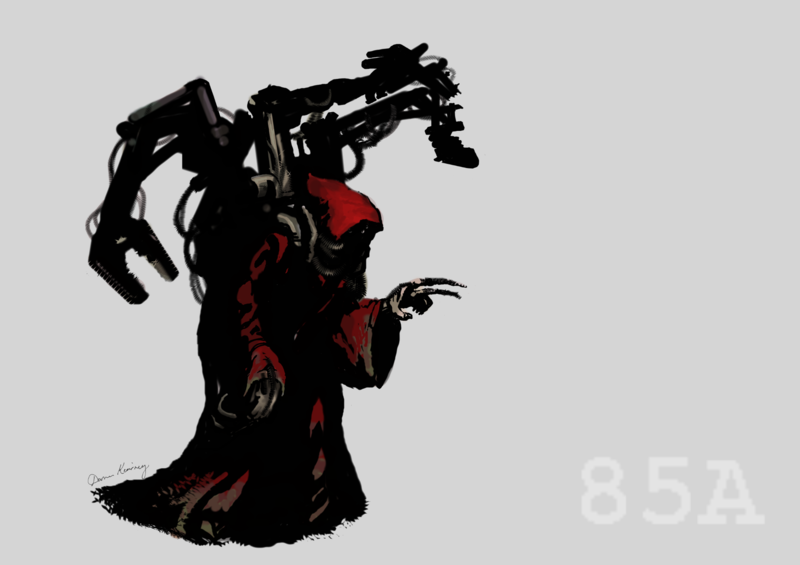 This is 85 Alpha, the group’s flesh-despising techpriest. Techpriest’s are terrific abominations, why wouldn’t I start here? This will be a fun way to return to making art again – it’s only been like 8 years since I took it in any way seriously, broken only by the sketches I’ve posted here and few other random bits.